On the Autodesk University 2012 conference, Autodesk has announced a new cloud application - Fusion 360 - the first full-featured 3D CAD software based on the web cloud. Autodesk Fusion 360 builds on the concepts of "Inventor Fusion" and of the recently released maker apps "Autodesk 123D". Fusion 360 lets the computing-intensive 3D operations on the infinite power of the web cloud, and so the client PC or Mac workstations can perform much faster. Both solid and free-form 3D models can be designed in a single environment. Fusion 360 can open, edit and save CAD models in all common file formats - this tool is fully open to different types of CAD data. Thanks to the cloud technology, the model data is accessible anytime, from anywhere, you can easily share it and cooperate on the designs using social collaboration tools. 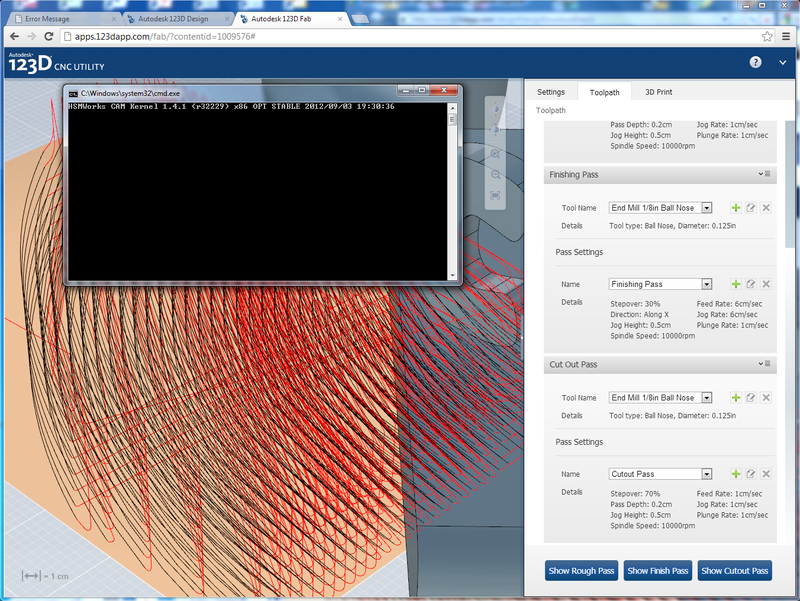 Internally, Fusion 360 works with the ShapeManager kernel (now multi-threaded) and with the Autodesk T-Splines technology. Autodesk Fusion 360 will be available for purchase in the next year, as a subscription-based service. This offering extends the existing commercial cloud applications of the "Autodesk 360" family, e.g. 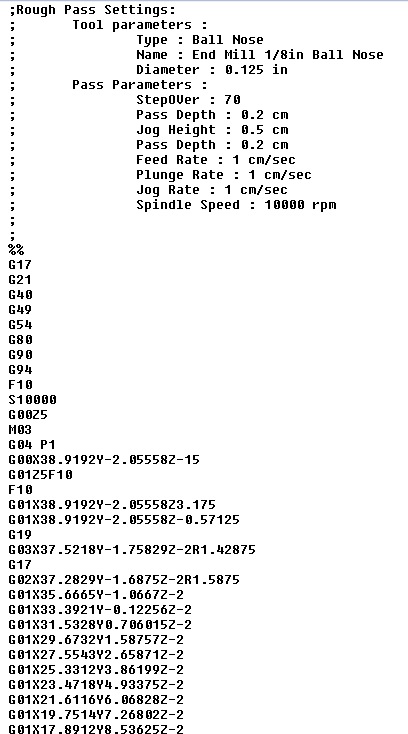 "Autodesk PLM 360" or "Autodesk Simulation 360". The new mobile application - Autodesk FormIt - helps to capture building design concepts digitally anytime, anywhere. You can use real-world site information to create 3D building forms in context and experience a continuous Building Information Modeling (BIM) workflow by synchronizing designs in the cloud for further refinement using Autodesk Revit or other applications. 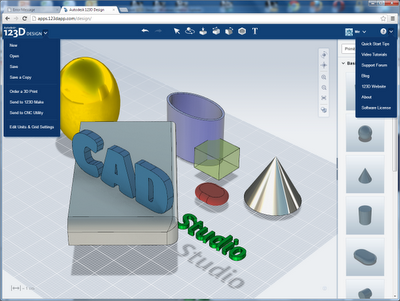 FormIt uses some aspects of Autodesk Vasari and of Autodesk 123D Design. 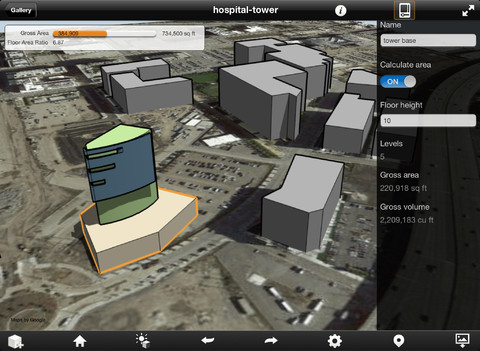 See Autodesk FormIt, FormIt in iTunes, and the family of Autodesk mobile apps. Autodesk is active also in areas which are apparently not related to their primary business - CAD, GIS and M&E. The newest activity confirming this is the "Project Sci-Viz" - a scientific visualization tool for biology. This is not their first activity in a similar area. Already in 1990, Autodesk founded a joint venture with Hypercube, developing and selling a molecular modeling tool for chemistry - "HyperChem" (we at CAD Studio have offered it in Czechoslovakia at that time). In 1994, HyperChem development returned back to Hypercube, where it still continues. Project Sci-Viz is an add-on for Autodesk 3ds Max. Autodesk Labs has developed an API and a Python engine that allows to run tools by Olson Molecular Graphics Laboratory and UCSF in 3ds Max. 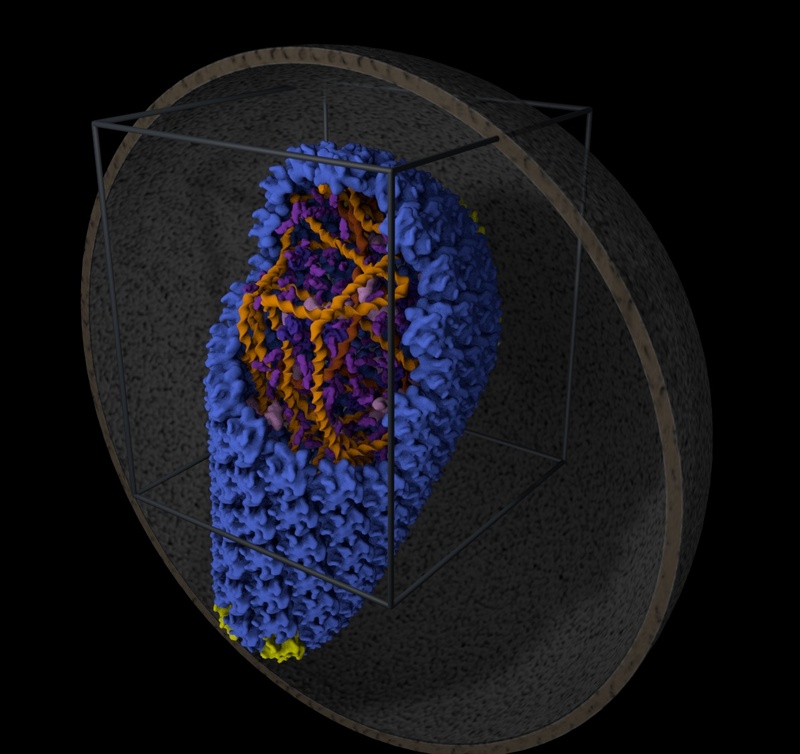 The tools "embedded Python Molecular Viewer" (ePMV), AutoPack and CellPack can run directly in the user environment of a 64-bit version of 3ds Max 2013. AutoPack is a tool for dense packing of various shapes inside a given volume or on a given surface (btw, it can be used also in other areas than biology). 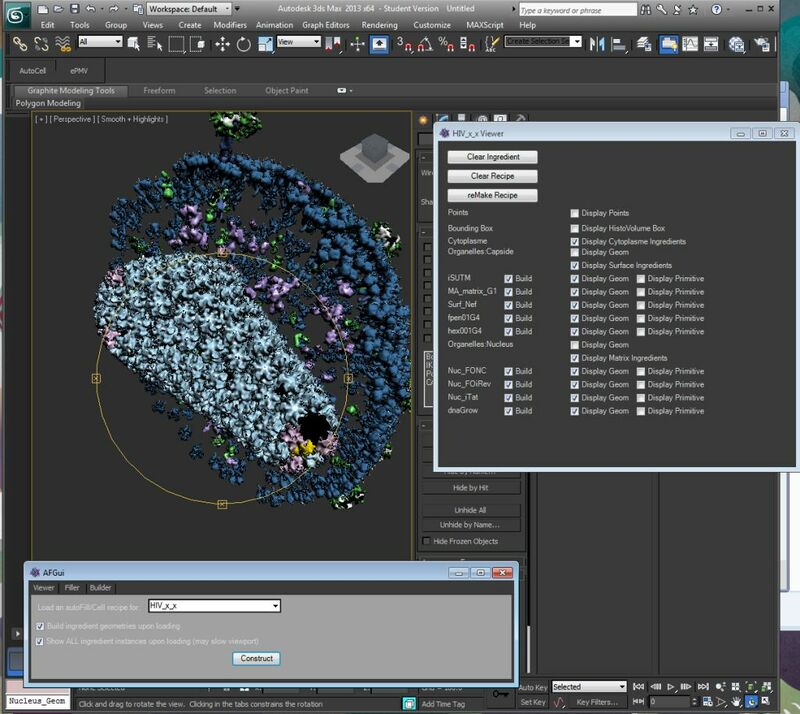 The CellPack tool can create biological materials from "prescriptions" and pack them to realistic molecular models in the 3ds Max environment. 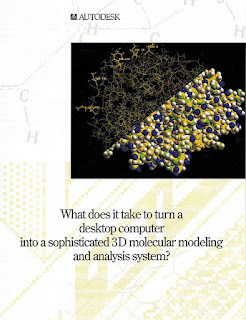 The "molecular viewer" (ePMV) is a 3ds Max add-on allowing to easily import molecular geometry from various sources, e.g. from the Protein Data Bank. More about Project Sci-Viz and download of this "technology preview" (expires 1.3.2013). Not only an easy to use 3D modeling but also 3D printing and CNC machining is now available for free for everyone and virtually on any device. 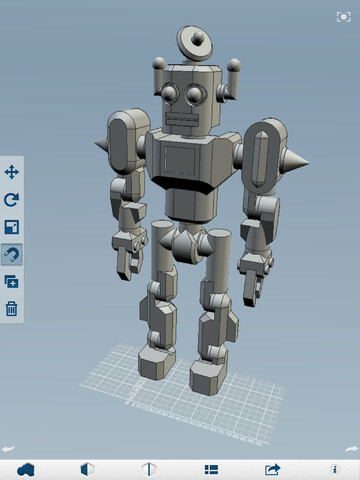 The family of web cloud applications Autodesk 123D was extended with the "123D Design" tool - a very easy 3D modeling application, which runs directly in your web browser (recommended: Google Chrome), on Apple iPad, or as a Windows or Mac desktop application. If you thought 3D modeling is complicated, realize that it is not. You can launch the free design application "123D Design" directly from your browser (requires to download a small plugin, for the first time only), on an iPad (see mobile tools), or download it to your Windows or Mac computer from 123Dapp.com/design. CAD Studio Inc. has earned three new Autodesk Specializations - PLM, Process Plant and Product Support. Autodesk Partner Specializations enable value added resellers such as CAD Studio to highlight and brand their expertise in delivering services in key industry areas - and to be a trusted adviser to Autodesk customers on the respective market. The Specialization designations from Autodesk strengthens our commitment to provide top level services and to achieve long-term customer satisfaction on the Czech and Slovak CAD, GIS and PLM markets. The industry specializations add to the top Autodesk Platinum partnership level achieved by CAD Studio in February 2012. Read more in the press release. The "AppStore" for add-on applications and plug-ins for AutoCAD, Revit, Inventor, Vault and other Autodesk software - Autodesk Exchange Apps - has reached 100,000 downloads of the individual tools. All the plugins can be installed and uninstalled with a single click - either through your web browser or directly from AutoCAD or other Autodesk software. All were tested by Autodesk and all add their icons in the ribbon for easy control. A vast majority of the tools offered in this appstore is free. The Autodeskers Charlie Crocker and Micah Dickerson recently walked through the Exchange Apps platform, featured some of the top apps and showed how easy it is to download the add-ons to complement AutoCAD workflows. You can also try some of CAD Studio's tools available in the Exchange Apps - e.g. our AutoCAD plug-ins. We are proud that our tools count to the "top sellers" on the Exchange Apps.